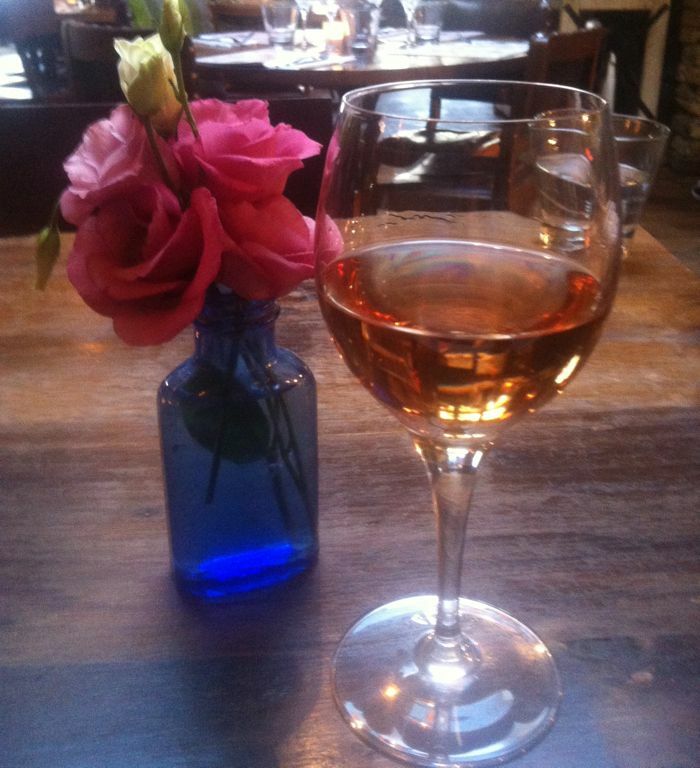 A dear friend recommended the restaurant Bumpkin to me, and I had the loveliest time there the other night. 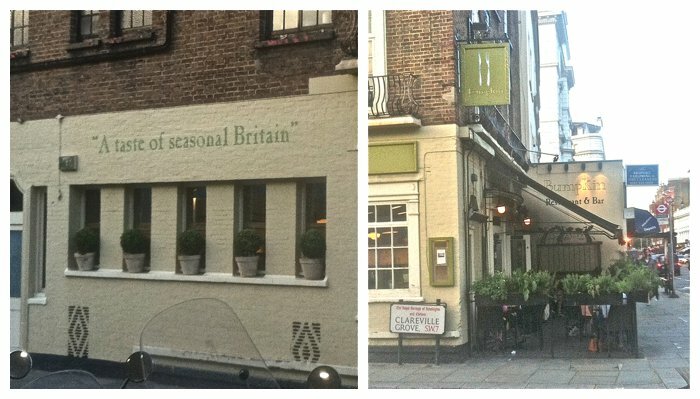 It is a fashionable restaurant with several locations in London, and I visited the one in South Ken. The restaurant offers seasonal fare and draws upon Great Britain's own products. The inside of the restaurant is a bit dark -- but in a cozy, warm sort of way. It has a very English countryside look to it, which, of course, I absolutely adore. Furniture and fabrics are layered, and there's just a touch of quirkiness. Little vases of flowers that looked freshly picked from someone's garden were sprinkled around the restaurant. This macaroni and cheese was pretty darn incredible. The short, fat pasta was great with the Béchamel-like sauce. A salad made of peas, "broad beans" and asparagus with a tomato dressing. I think broad beans are lima beans -- still learning some of the local words! There wasn't much to this salad other than the ingredients I listed -- and that was perfect, because I could really taste the fresh vegetables. A wonderful evening, and I look forward to going again soon! 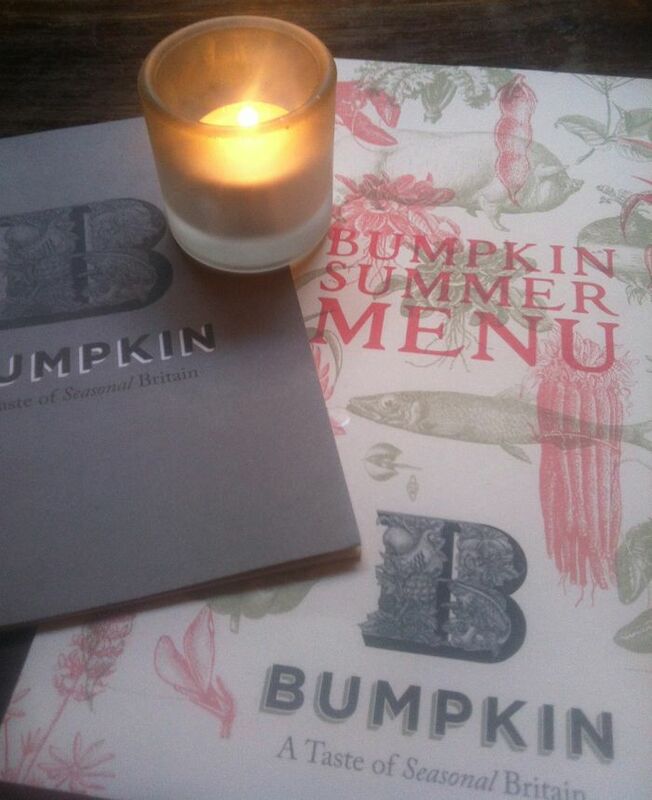 Have you been to the new "secret garden" Bumpkin yet? Great for a Summer brunch! I haven't -- but thanks for the tip!